Empowerment, liberation, choice. 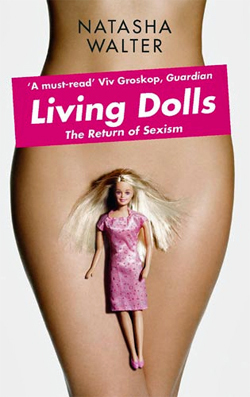 Once the watchwords of feminism, these terms have now been co-opted by a society that sells women an airbrushed, highly sexualised and increasingly narrow vision of femininity. While the opportunities available to women may have expanded, the ambitions of many young girls are in reality limited by a culture that sees women’s sexual allure as their only passport to success. At the same time we are encouraged to believe that the inequality we observe all around us is born of innate biological differences rather than social factors. Drawing on a wealth of research and personal interviews, Natasha Walter, author of the groundbreaking The New Feminism and one of Britain’s most incisive cultural commentators, gives us a straight-talking, passionate and important book that makes us look afresh at women and girls, at sexism and femininity, today.